Get Heart Healthy! – Get Moving! Just Do It! No more excuses to not exercise. Just 15 minutes of walking at home! Healthy Living, Uncategorized, Which Exercise? Dated 27th Feb 2017, the ACC (American College of Cardiology) published a review article on Debunking nutritional myths. The article supports eating plenty of fruits, vegetables, whole grains, legumes and nuts in moderation. It also mentions that very limited quantities of lean meat, fish, low-fat and nonfat dairy products and liquid vegetable oils may be consumed. It however does not recommend intake of antioxidant pills, juicing and gluten-free diets (unless allergic to gluten). According to the authors, coconut oil and palm oil should be discouraged due to limited data supporting routine use. The most heart-healthy oil is olive oil, though perhaps in moderation as it is still higher calorie, research suggests. Fruits and vegetables are the healthiest and most beneficial source of antioxidants to reduce heart disease risk, the review explains. There is no compelling evidence adding high-dose antioxidant dietary supplements benefits heart health. Nuts can be part of a heart-healthy diet. But beware of consuming too many, because nuts are high in calories, said the authors. The authors explain that while the fruits and vegetables contained in juices are heart-healthy, the process of juicing concentrates calories, which makes it is much easier to ingest too many. Eating whole fruits and vegetables is preferred, with juicing primarily reserved for situations when daily intake of vegetables and fruits is inadequate. If you do juice, avoid adding extra sugar by putting in honey, to minimize calories. People who have celiac disease or other gluten sensitivity must avoid gluten – wheat, barley and rye. For patients who don’t have any gluten sensitivities, many of the claims for health benefits of a gluten-free diet are unsubstantiated. I have been running half-marathons for last 7 years. But this is the second time I am running the SCMM (Mumbai) 2017 for a cause. I am supporting an organization called Apni Shala which imparts life skills to underprivileged kids in Mumbai (Dharavi and Kurla). I have volunteered to raise funds for the organisation and would request you to support it wholeheartedly. Below is the link to my Fundraising page through which donations can be done and are eligible for 80G tax exemption. Please go through their website to know more about their work. I Hope to receive your full-fledged support. Thanks! Todays life is fast paced! Everyone wants everything fast: Meals delivered at a click of a button! Things delivered within minutes. A rush to reach their destinations within seconds. No patience to wait in queues. Everything at a click of a button. Even meals are cooked fast. Even expect our kids to grow up fast and achieve more in a short time. Surfing channel to see whats being played in different channels at the same time. No time to stand in grocery queues. However, nature does not want us to live our lives so fast paced.. Living fast paced can give rise to anxiety, high blood pressure and stress. It wants us to slow down! Enjoy the things around us! Even in cities there is so much of nature around us. We should be watching the sunrise through our windows. Listen to the birds chirping and the wind blowing. Listen to the dogs barking. Listen to the rain drops falling on a tin roof. Enjoying our morning cuppa of coffee at an leisurely pace. Strolling leisurely in a park. Not be bound by time. Read the hard copy of “A Book of Simple Living: Brief Notes from the Hills” by Ruskin Bond! Cooking a slow meal and enjoying the process of cooking the meal. Eating leisurely with kids and family. Lazing on a sofa with your favourite novel. Going for a slow jog without attention to timing or pace. Practising mindfulness in our lives! Keeping our electronic gadgets shut for a day! What a life that would be. It would add Chi to our daily lives. 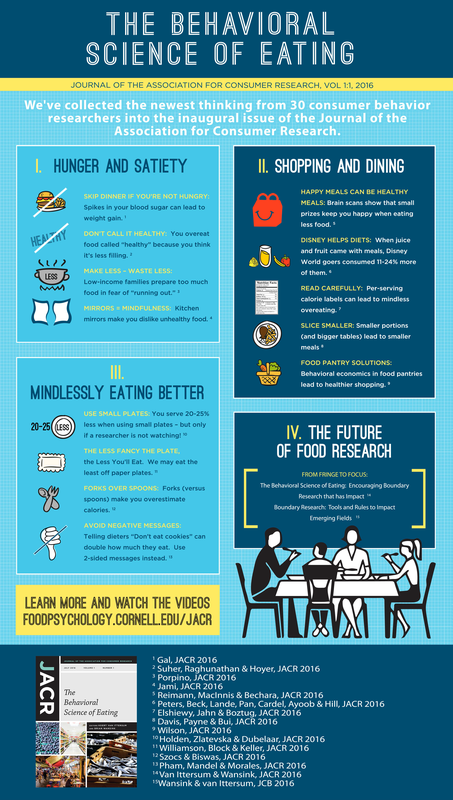 Follow a healthy eating pattern across the life span. A healthy eating pattern limits saturated fats and trans fats, added sugars, and sodium. Key recommendations that are quantitative are provided for several components of the diet of particular public health concern that should be limited. Consume less than 10% of calories per day from added sugars. Consume less than 10% of calories per day from saturated fats. Consume less than 2300 mg/d of sodium. If alcohol is consumed, it should be consumed in moderation—up to 1 drink per day for women and up to 2 drinks per day for men—and only by adults of legal drinking age. The Dietary Guidelines also include a key recommendation to meet the Physical Activity Guidelines for Americans. This Viewpoint summarizes the updated recommendations of the US Department of Health and Human Services’ recently released 2015-2020 Dietary Guidelines for Americans. Let Hunger Be Your Guide! should we trust and follow evidence based guidelines? Guidelines authored by Medical bodies like American Heart Association are strongly followed in our cardiology practise in India as there is lack of trial data conducted in India. I as a practising cardiologist strongly advocate Guideline based therapy. However, lately I have been surprised by the recommendations of the new guidelines on various topics. This is because of the change in recommendations which are totally contrary to the previous version of the guidelines. The ATP-3 guidelines strongly advocated Goal based therapy for LDL-cholesterol management. They suggested that LDL cholesterol should be maintained below 100 mg/dl in patients with diabetes or coronary artery disease. These recommendations were followed by Cardiologists all over the world for the last 12-13 years. However, the new guidelines on Lipid management released by the ACC 2014 mentions that there is no trial to suggest that the target-based therapy of LDL cholesterol works. Instead they advocate high dose statin to be given in patients with high risks and to bring down the LDL cholesterol levels by 50%. This is a drastic change which then calls into question the data on which the earlier ATP guidelines were based. 2. Beta-blockers were advocated in earlier version of guidelines for treatment of Vasovagal syncope. Even, in my personal experience I have number of patients who felt better with beta-blockers and had remission in their symptoms. However, the new guidelines mentions beta-blockers as Class III (harmful). 3. Amiodarone was advocated earlier for acute treatment of recurrent ventricular tachycardia (VT). However the new European guidelines on Arrhythmias in ACS mentions that it should be avoided and instead Cardioversion should be preferred. The drastic change in the new recommendations/ guidelines for treatment of the various disorders (as mentioned above in examples) is unexpected and surprising. The reasons for these may be availability of new trial data or not a thorough evaluation of the trials by earlier committees. Whatever the reasons, for us as practising Clinicians, patient safety is paramount. Thus, Strict adherence to the new guidelines is advisable and to be followed (till the time we have data available from trials conducted in India on Indian patients). However the therapy should be discussed with and individualised for each patient. Warning Symptoms Precede Sudden Cardiac Arrest in most cases. Warning symptoms, notably chest pain and dyspnea, occur during the 4 weeks preceding sudden cardiac arrest (SCA) in at least half of cases involving middle-aged adults, suggests a new study. The warnings are usually ignored, observe researchers, with few patients phoning 911 in response to what is almost always a fatal event. The analysis is based on the Oregon Sudden Unexpected Death (SUD) cohort which was published online December 22, 2015 in the Annals of Internal Medicine. It suggests that sudden death may not be as sudden as we have been thinking till now. There were people who had their symptoms not only in the 24 hours that preceded the arrest, but also in the 4 weeks that preceded their event. The Oregon SUD study is a large, prospective, community-based study of deceased and surviving patients who had an SCA in the Portland, Oregon metropolitan area. The analysis included 839 patients between 35 and 65 years of age with SCA whose prodromal symptoms could be comprehensively assessed. Of the 839 patients, 430 patients or 51% of the cohort experienced at least one symptom within the 4 weeks preceding their arrest. Men and women experienced prodromal symptoms with equal frequency at 50% vs 53%, respectively. Symptoms also started more than an hour before SCA onset in 80% of patients; but in 147 of these patients, symptom onset occurred more than 24 hours before their arrest. Among this subgroup of patients, 93% had recurrent new episodes of symptoms during the 24 hours preceding their arrest. “The main symptom was chest pain, documented in 199 patients,” or 46%, Marijon observed. Of those, 76% had “intermittent typical angina,” he said. Another 18% of patients had dyspnea as their apparent prodromal symptom; about one-third of this group had established congestive heart failure or a pulmonary condition. An early call to 911 was associated with better survival odds in the current study suggesting that there is a potential to enhance short-term prevention of SCA by targeting public awareness of SCA.